layout_fn (None) – Layout function used to dynamically control the aspect of nodes. Valid values are: None or a pointer to a method, function, etc. mode (“r”) – Valid modes are ‘c’(ircular) or ‘r’(ectangular). orientation (0) – If 0, tree is drawn from left-to-right. If 1, tree is drawn from right-to-left. This property only makes sense when “r” mode is used. rotation (0) – Tree figure will be rotate X degrees (clock-wise rotation). branch_vertical_margin (0) – Leaf branch separation margin, in pixels. This will add a separation of X pixels between adjacent leaf branches. In practice, increasing this value work as increasing Y axis scale. arc_start (0) – When circular trees are drawn, this defines the starting angle (in degrees) from which leaves are distributed (clock-wise) around the total arc span (0 = 3 o’clock). arc_span (359) – Total arc used to draw circular trees (in degrees). margin_left (0) – Left tree image margin, in pixels. margin_right (0) – Right tree image margin, in pixels. margin_top (0) – Top tree image margin, in pixels. margin_bottom (0) – Bottom tree image margin, in pixels. scale (None) – Scale used to draw branch lengths. If None, it will be automatically calculated. optimal_scale_level (“mid”) – Two levels of automatic branch scale detection are available: "mid" and "full". In full mode, branch scale will me adjusted to fully avoid dotted lines in the tree image. In other words, scale will be increased until the extra space necessary to allocated all branch-top/bottom faces and branch-right faces (in circular mode) is covered by real branches. Note, however, that the optimal scale in trees with very unbalanced branch lengths might be huge. If "mid" mode is selected (as it is by default), optimal scale will only satisfy the space necessary to allocate branch-right faces in circular trees. Some dotted lines (artificial branch offsets) will still appear when branch-top/bottom faces are larger than branch length. Note that both options apply only when scale is set to None (automatic). root_opening_factor (0.25) – (from 0 to 1). It defines how much the center of a circular tree could be opened when adjusting optimal scale, referred to the total tree length. By default (0.25), a blank space up to 4 times smaller than the tree width could be used to calculate the optimal tree scale. A 0 value would mean that root node should always be tightly adjusted to the center of the tree. complete_branch_lines_when_necessary (True) – True or False. Draws an extra line (dotted by default) to complete branch lengths when the space to cover is larger than the branch itself. guiding_lines_type (2) – 0=solid, 1=dashed, 2=dotted. allow_face_overlap (False) – If True, node faces are not taken into account to scale circular tree images, just like many other visualization programs. Overlapping among branch elements (such as node labels) will be therefore ignored, and tree size will be a lot smaller. Note that in most cases, manual setting of tree scale will be also necessary. draw_aligned_faces_as_table (True) – Aligned faces will be drawn as a table, considering all columns in all node faces. children_faces_on_top (True) – When floating faces from different nodes overlap, children faces are drawn on top of parent faces. This can be reversed by setting this attribute to false. aligned_header – a FaceContainer aligned to the end of the tree and placed at the top part. aligned_foot – a FaceContainer aligned to the end of the tree and placed at the bottom part. legend – a FaceContainer with an arbitrary number of faces representing the legend of the figure. Use this object to create a grid of faces. You can add faces to different columns. A dictionary with all valid node graphical attributes. draw_descendants (True) – Mark an internal node as a leaf. hz_line_width (0) – integer number representing the width of the line in pixels. A line width of zero indicates a cosmetic pen. This means that the pen width is always drawn one pixel wide, independent of the transformation set on the painter. vt_line_width (0) – integer number representing the width of the line in pixels. A line width of zero indicates a cosmetic pen. This means that the pen width is always drawn one pixel wide, independent of the transformation set on the painter. Adds a Face to a given node. position (“branch-right”) – Possible values are “branch-right”, “branch-top”, “branch-bottom”, “float”, “float-behind” and “aligned”. 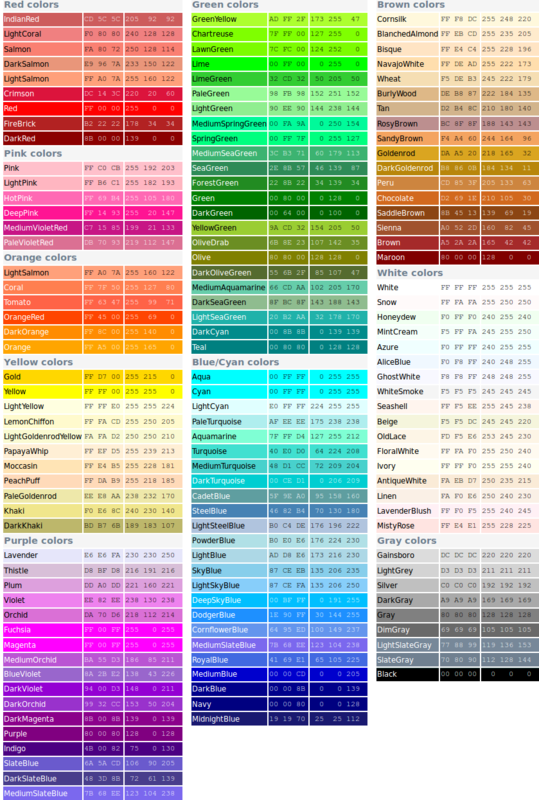 background.color – background color of face plus all its margins. border – Border around face margins. inner_border – Border around face excluding margins. (inner_)border.width (None) – a positive integer number. Zero indicates a cosmetic pen. This means that the pen width is always drawn one pixel wide, independent of the transformation set on the painter. A “None” value means invisible border. See also specific options for each face type. penwidth – Penwdith used to draw the text. approximated according to general font metrics, producing slightly worse aligned text faces but improving the performance of tree visualization in scenes with a lot of text faces. Dynamic text Face. Text rendered is taken from the value of a given node attribute. Creates a node Face using an external image file. img_file – path to the image file. If only one dimension value (width or height) is provided, the other will be calculated to keep aspect ratio. Creates a Circle or Sphere Face. Creates a Rectangular solid face. Creates a face based on an amino acid or nucleotide sequence and a list of motif regions. seq (None) – a text string containing an aa or nt sequence. If not provided, seq and compactseq motif modes will not be available. bgcolor: motif background color. Color code or name can be preceded with the “rgradient:” tag to create a radial gradient effect. values – a list of values each representing a vertical bar. width (200) – width of the bar chart. min_value (0) – min value to set the scale of the chart. max_value (None) – max value to set the scale of the chart. percents – a list of values summing up 100.
max_v – maximum value used to build the build the plot scale. max_v – minimum value used to build the build the plot scale. center_v – Center value used to scale plot and heatmap. width (200) – Plot width in pixels. height (40) – Plot width in pixels. style (lines) – Plot style: “lines”, “bars”, “cbars” or “heatmap”. colorscheme (2) – colors used to create the gradient from min values to max values. 0=green & blue; 1=green & red; 2=red & blue. In all three cases, missing values are rendered in black and transition color (values=center) is white. Creates a face based on an external QtGraphicsItem object. QGraphicsItem object is expected to be independent from tree node properties, so its content is assumed to be static (drawn only once, no updates when tree changes). Creates a face based on an external QGraphicsItem object whose content depends on the node that is linked to. constructor – A pointer to a method (function or class constructor) returning a QGraphicsItem based object. “constructor” method is expected to receive a node instance as the first argument. The rest of arguments passed to ItemFace are optional and will passed also to the constructor function. returns the RGB code of a random color. Hue (h), Lightness (l) and Saturation (s) of the generated color could be fixed using the pertinent function argument.